About two months ago I was hired again by Global Publishing to shoot pictures for a feature article in the upcoming edition of United magazine. 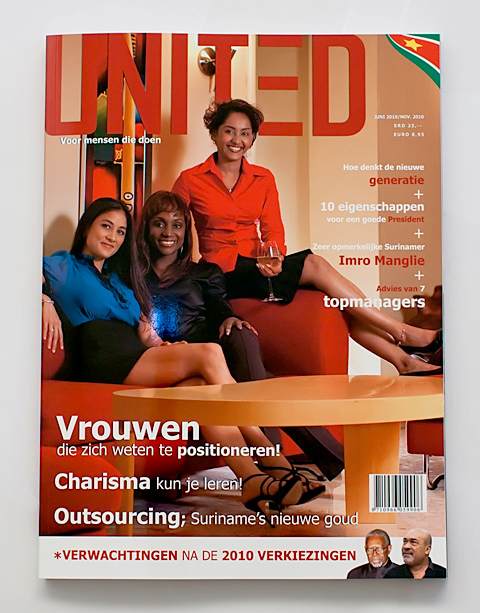 Global Publishing is the publisher of United magazine. 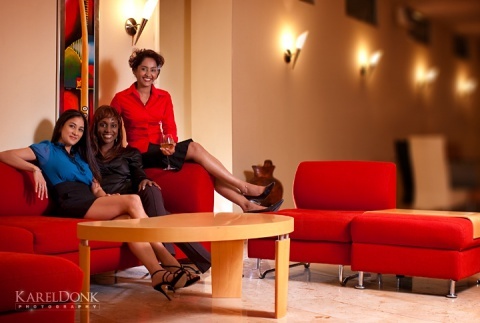 The photoshoot took place at Leader’s Group Conference Room. During the photoshoot I had about 15 minutes per person, and 15 minutes for the group shot. I tried to get as many possible poses and settings with each one of them in the time I had. I also got to know the women a little during the photoshoot and tried to get a feel for their personalities, and in the end I chose a picture for each one of them that I think matched the most with their personalities. And from the feedback I got so far I think the pictures really do go along well with their personalities. For those of you who are interested in the gear used, I used two Canon EOS 40D bodies with the EF 35mm f/1.4 L and EF 85mm f/1.2 L II lenses from Canon. For the lighting I used a couple of Canon 580 EX II speedlights, sometimes with umbrella’s and mixed with the available light. 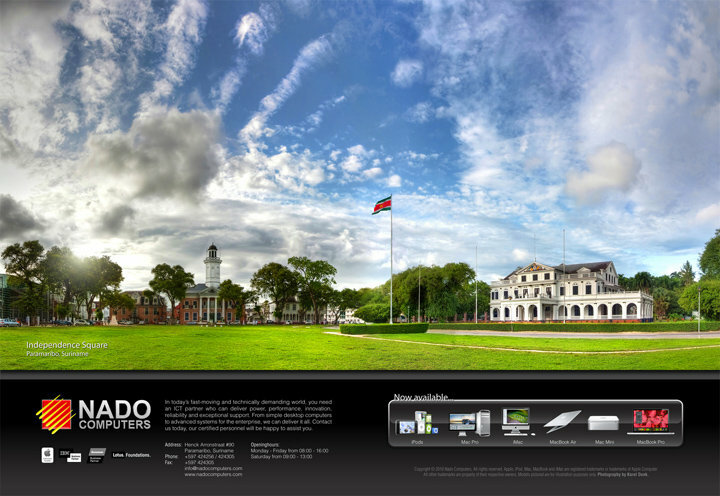 Double page Ad for Nado Computers in United using one of my images of the Independence Square in Paramaribo, Suriname. One of the cool things about this image is that you can see the clouds forming a hand in the upper left corner. This was really there when the picture was taken and was not digitally added. 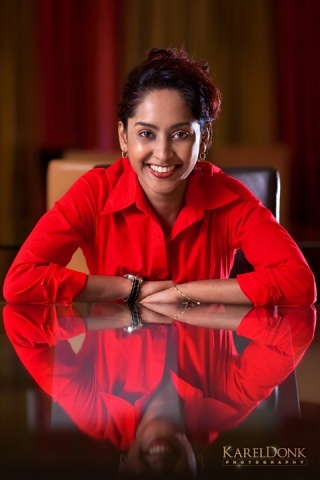 The picture used in the ad for Tropical Gem Tours above was taken a while ago and if you’re interested you can read about it and see some more images taken during that photoshoot here. This entry was published on Thursday, July 1st, 2010 at 8:23 pm by Karel Donk and is filed under Art Design Personal Photography. You can use the permanent link to bookmark and/or share it. Beautiful pics as always, Karel !